A truly beautiful hoodie. 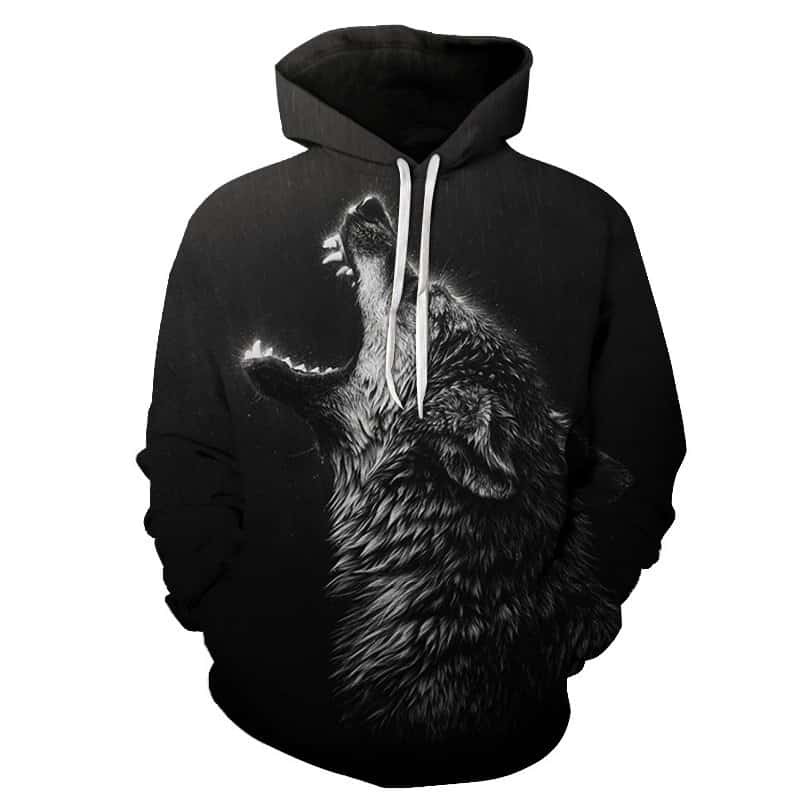 This wolf howling hoodie features a fierce grey wolf howling with a black backdrop of the hoodie material. 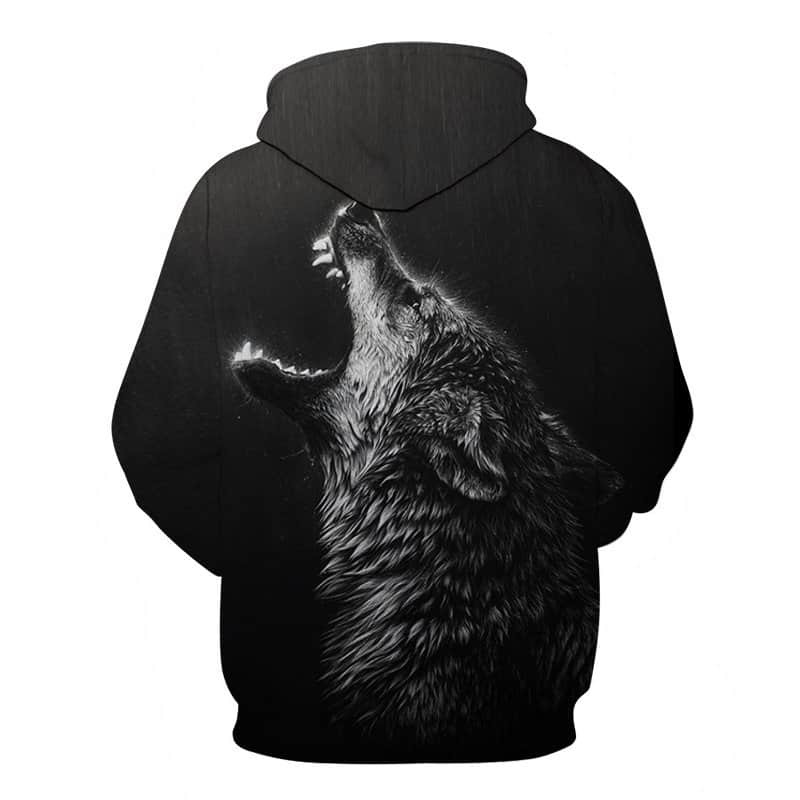 The beautiful wolf image is printed on both the front and back side. The hoodie is comfortable to wear, looks fashionable and is wearable anywhere. It was designed for both male and female. -overall satisfied. fully compliant with pattern description, comfortable fabric. if to slightly xxxl великовато. too long and hoses.